Literacy development is a specific area of learning and development within the Early Years Foundation Stage. As part of your strategy to promote literacy, it’s a good idea to participate in one or more of the literacy events for children that take place throughout the year. Visit the World Book Day website for full details, and a host of accompanying activity ideas and online resources (including a template for making “We’re Going On A Bear Hunt” ears!) There’s also a link to the World Book Day Nursery Resource Pack. At the Big Little Book Corner you’ll find stories, songs and downloadable activities designed for sharing between babies and young children and their parents and carers. On the events page you can search the literacy events already happening in your area, and perhaps also gain ideas for your own future special events. The National Literacy Trust aims to support the development of early language and communication skills as the vital first step to literacy. In addition to offering foundation years training for practitioners, their website www.literacytrust.org.uk/ is a fantastic source of literacy information, downloadable resources and case studies. The Trust is currently running the Little Miss and Mr Men Big Reading Adventure scheme. 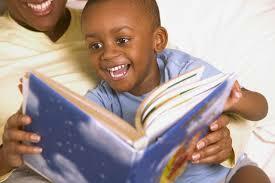 Early years settings are provided with a suite of resources to enable them to deliver a reading-themed week. Every day children meet a new character, read a story about them and then complete a related fun activity, with extension activities provided for use with children who are ready for them. Sign up via their website by April 6th to take part. The organisation Booktrust also has a range of excellent downloadable resources to support practitioners’ literacy work, such as tips for sharing books with young children. To access these, visit www.booktrust.org.uk/programmes/early-years/. You’ll also find information about their book packs for children, which include dedicated packs for babies and young children who are blind or partially sighted, and for those who are deaf. To also find out about the Trust’s annual Children’s Book Week, which takes place in early October, click here. In addition to fostering a love of books among children, a special event can provide the ideal time to promote the value of literacy activities to parents and carers. You might like to take the opportunity to share information about the setting’s every day literacy provision, as well as providing tips on supporting their children’s development at home. You could do this via fact sheets, informal chats or by passing on helpful web links. For information on promoting each of the early learning goals across all of the areas of learning and development, check out my book A Practical Guide to the Early Years Foundation Stage, which also includes a range of early years activities.